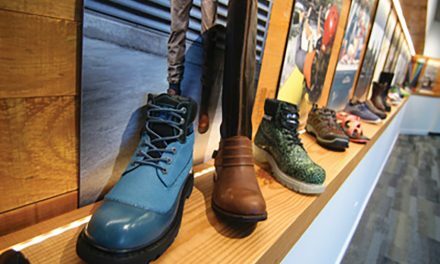 Russell Corporation will realign its operations to increase focus on both its athletic and activewear businesses. Under this structure, manufacturing, distribution and some administrative functions will be combined with sales and marketing to create a separate Athletic Group and an Activewear Group. the economies of scale they need to compete in their markets,” Ward added. Activewear Group. This structure allows the athletic business to focus on brand building by leveraging our authentic heritage and also creating synergies among the Russell Athletic, Moving Comfort and Bike Athletic brands within their markets that include department stores, sports specialty stores, teamwear, catalog and college bookstores. Spalding, the Women's organization and Mossy Oak Apparel also will be part of this group. operations and strategic partnerships since that is the most cost-effective model for those product lines. Jon Letzler will serve as CEO for the Athletic Group in addition to his duties as president and COO of the Company. As announced last week, Julio Barea has joined Russell to head the Activewear Group, reporting to Letzler. Barea, an experienced CEO, spent nearly 20 years with Sara Lee Corporation's apparel group. four sewing operations and 4,000 employees already in Honduras. projected annual pre-tax savings for phase one of this project should be approximately $15 to $20 million.